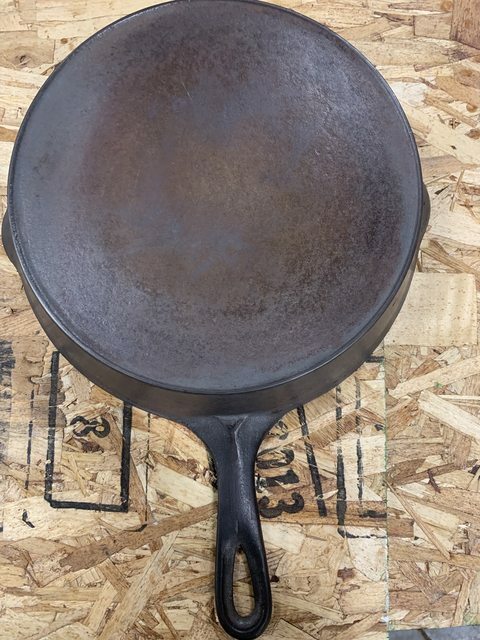 Another skillet from the lot I bought. I've looked at the unmarked section and don't see a match. No marks anywhere, no size, outside heat ring. Looks to be a No. 8 by eyeballing size. 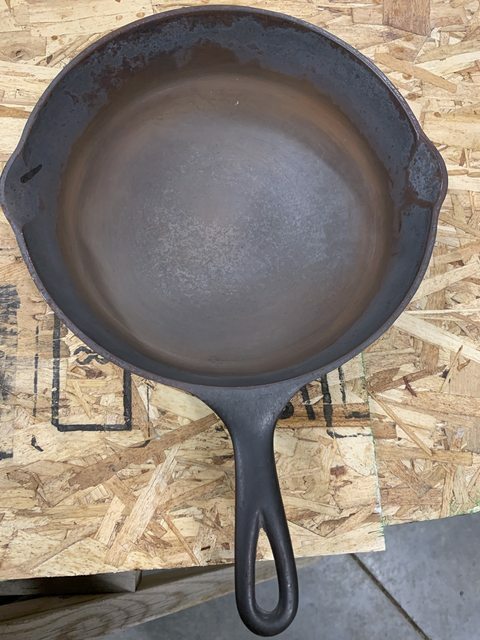 Looks pretty similar to a Wagner I have except for a difference in underside of handle. Find all posts by Casey H.